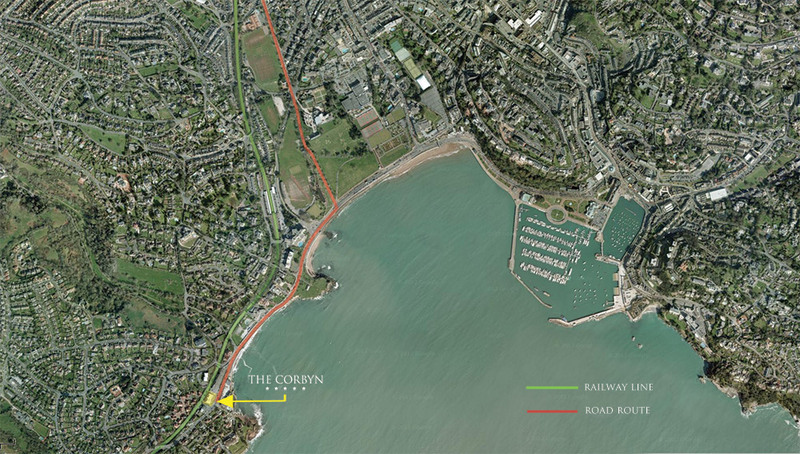 The Corbyn is situated in one of the premier locations in Torquay, part of the English Riviera. There are many excellent facilities within easy walking distance. Just 50 yards from Livermead beach and within one mile of local shops. The Corbyn apartments are an excellent base for exploring the English Riviera, one of only 8 Global Geoparks in the UK. Torquay is a stylish resort whose waterfront is the focus of life in the town and the lively harbour and palm tree-lined promenade frame its international marina. Torquay is the hub of activity with restaurants, cafes and bars providing a truly Mediterranean feel. See our Whats On page for recommended attractions, restaurants and places to visit during your stay, as well as our What's On guide! For visiting events and attractions a little further afield using public transport, the train station and bus routes are within easy walking distance. Excellent road communication with the M5 motorway to Exeter, A38 and A380 dual-carriageway connection to Newton Abbot and a pleasant drive into Torquay. Follow signs for the Seafront. Enter TQ2 6RH on your sat nav. The nearest train station is Torquay (0.5 miles). Excellent direct rail links are available from Newton Abbot (6.5 miles). Many operators stop at Torquay coach station (1.5 miles). There are also local bus stops directly outside The Corbyn. Fly into Exeter and Plymouth airports and there are hire car facilities available at the airports. From Torquay, Exeter Airport is about 30 minutes by car.